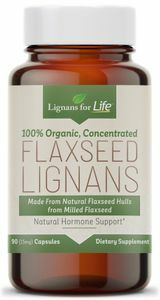 Lignans for Life Concentrated Organic Flaxseed lignans (SDG) Lignans from Flaxseed Hulls. For People or Dogs. Certified 100% USDA Organic, Cold Milled Processed, Gluten Free, Non-GMO. Vegetarian capsules. 90 count bottle. One capsule per serving. 90 servings. 15 mg of organic SDG lignans per serving. Each capsule contains 100% flaxseed hulls. Serving size is 1 capsule, 90 capsules per bottle. All natural, organic flax seeds are hulled to provide ground concentrated flax seed hulls packed in a vegi capsule. Each capsule contains 690 mg of flaxseed hulls and 15 mg of SDG lignan. Lignans have hormone balancing properties. Lignans are phyto-estrogens (plant estrogens) that mimic normally occurring (endogenous) estrogen. Lignans balance estrogen levels to help support breast health. They bind to estrogen receptors, but with less biological effect. Lignans may also block the conversion of testosterone into DHT. This helps support prostate health. 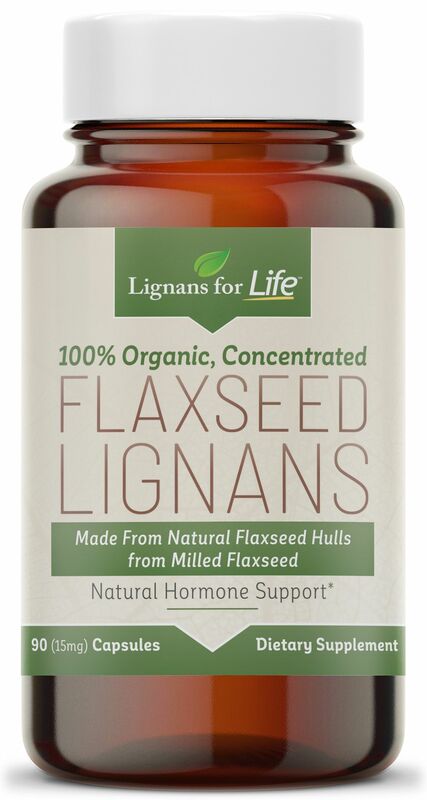 Flax Lignan research has shown that women with high amounts of lignan in their bodies have better breast health on average and men with high amounts of lignan in their bodies have better prostate health on average. * The high amount of fiber in flaxseed lignans also helps support colon health. Lignans have indicated a variety of other benefits, such as heart, cholesterol, and hair health.